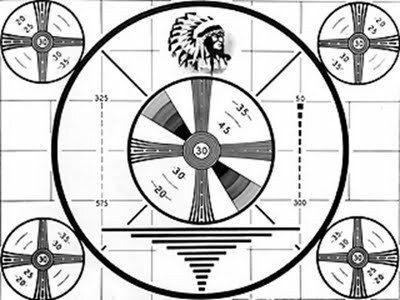 Unfortunately, the last few weeks, I have been MIA on TRST due to some internet issues pertaining to where I was staying at over the Christmas break. I have since returned to campus, where my computer works beautifully with the internet & have missed writing columns, doing videos, talking to fans, and dropping an occasional one-liner online. But I’m back and just at the right time—when it looks like the NFL playoffs may have hit its peak in terms of competitive games. It was the Divisional Playoff Round this week in the NFL, which means that the teams that won last week in the Wild Card matchups headed on the road to face those teams that had earned byes. One of those was the Baltimore Ravens who have plans on having Ray Lewis (and potentially Ed Reed as well) retire from the NFL as Super Bowl Champions as did John Elway, Jerome Bettis, and Michael Strahan. They beat the Colts last week in Baltimore. This week, their opponent was Peyton Manning and the Denver Broncos at Sports Authority Field in the Mile High City, and going into the game, almost everyone (except me and a few others) picked the Baltimore Ravens to win this football game. Most of the national football press felt it would be a rout and that there was no reason to be played. This game was the reason why there is the phrase “Any Given Sunday”. At the beginning of the game, it looked like it would be a Broncos coronation party. The first score of the game came on a special teams play as Denver’s Trindon Holliday returned a punt return 90 yards for the first touchdown. Denver took a quick 7-0 lead. That would be erased by a 59 yard bomb from Joe Flacco to Torrey Smith to tie it at 7. Then, Peyton Manning threw an interception (one of his two for the game) to Corey Graham who returned it 39 yards for the score. Baltimore 14-7. All of a sudden, the Ravens who everyone wrote off were in it on the road vs. the high-octane offense of the Broncos. It was tied going into halftime thanks to another TD pass from Flacco to Smith. 21-21. Holliday Season apparently wasn’t over in Colorado as Holliday had on his Devin Hester (circa 2008) cleats on. After his punt return, he returned a kickoff return for 104 yards for a Denver touchdown. 28-21. The Ravens later tied it again. With the score at 35-28 late in the 4th quarter, John Fox made an extremely questionable decision by not throwing on a 3rd & 7 with Peyton Manning as his quarterback. That would’ve sent the Ravens home packing their valuables for the spring & summer months. That gave the Ravens new life & they capitalized. A 70 yarder from Flacco to Jacoby Jones tied it up again at 35. One thing has to be said about the Ravens—most say that the receiving corps of the Atlanta Falcons is the best in the NFL with Julio Jones, Roddy White, Tony Gonzalez, etc. Torrey Smith and Anquan Boldin aren’t too shabby either. The game eventually went into two overtimes with the Ravens winning 38-35 on a 47 yard field goal from Justin Tucker that came after an interception of Manning. 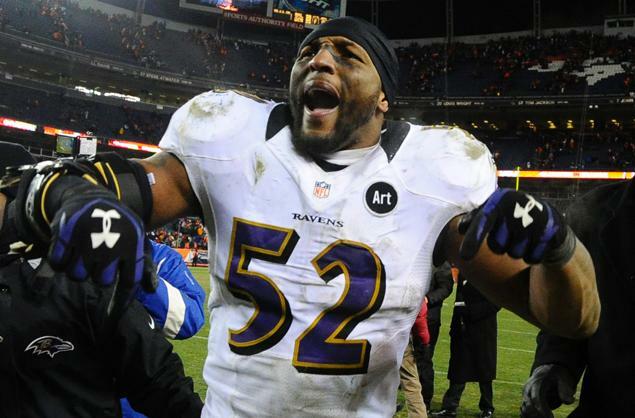 Ray Lewis will play another game & Peyton Manning has another loss in the postseason. Oh, and yeah, the Tebow memes began immediately on Twitter. Flacco was 18/34 for 331 yards and 3 TDs. Ray Rice rushed for 131 yards. Smith and Jones had huge receiving days for Baltimore. Peyton Manning’s line was 28/43 for 290 yards, 3 TDs and 2 picks. Eric Decker (who is now dating supermodels apparently because of the notoriety he’s gained from catching Manning’s passes) had 6 of them for 84 yards. This game was the game of the playoffs so far and was an instant classic. One of the best playoff games in history. It belongs in the archives. Baltimore’s season goes on as they are clearly playing to get Ray Lewis one more ring before it’s all set & done for #52. Their opponent in the AFC Championship Game will be the New England Patriots, as it was last year. The numbers 42 and 14 were on the minds of the Houston Texans all week as they prepared for their AFC Divisional Matchup in Foxboro vs. the New England Patriots. That was, of course, the score that the Pats thrashed the Texans by back on Monday Night Football late in the season in Foxboro, despite the fact that it was billed at the time as what could’ve been the best football game on the 2012 Monday Night Football programme. Midweek, fans were abuzz as runningback Arian Foster used critical words from a Dan Shaughnessy Boston Globe column that basically called the Texans a fluke team and that Houston would be easy pickings for Brady’s bunch—as his Twitter avatar. Similar to the armchair quarterbacking going on by pundits concerning the Ravens/Broncos matchup, almost no one outside of Houston picked the Texans to defeat the Patriots. 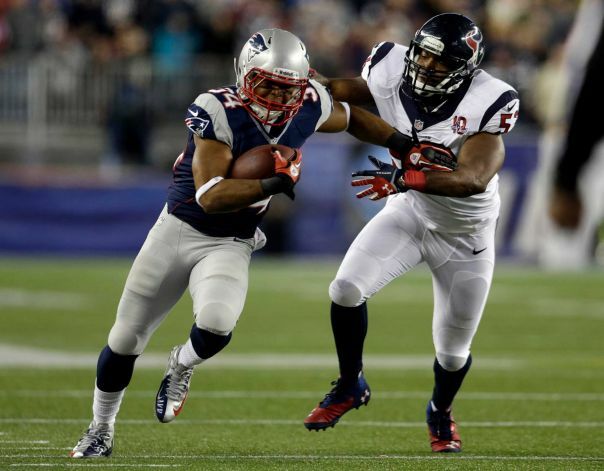 The first play of the game was a 94 yard kickoff return from the Texans’ Danieal Manning. Just what Houston needed to get off to a quick start & send New England a message that this wasn’t Monday Night Football anymore. Instead, 3 plays later, they had to settle for a Shayne Graham 27 yard field goal to put Houston up 3-0. It should’ve been 7-0. Those first few minutes were emblematic of the Texans’ offense over the last few games. They struggle in the red zone and Matt Schaub wasn’t the same Matt Schaub that led the Texans to an 11-1 record through the first 12 games of the season. Of course, you can’t settle for field goals when you play Tom Brady and the Patriots and it was only a matter of time before they made Houston pay. They took the lead at the end of the 1st quarter and would ultimately extend it to a 17-3 advantage. We haven’t heard much of the name Shane Vereen before this game, but Brady has an ability to turn unknowns into household names down the road. He had 3 touchdowns on the day. While the Texans did hang tough and made it a game at halftime with the score at 17-13, it’d be an entirely different story in the 2nd half as the Patriots began doing what the Patriots seem to do a lot of the team—make their opponents look like they belong in college. They’d get the ball back in the beginning of the 2nd half, and scored a touchdown on their first possession thanks to a Stevan Ridley 8 yard run. Ridley is one of the things that makes this Patriots team so dangerous. They could run the ball in previous years when they had players like Corey Dillon, and it looks like they’ve got that again with Ridley—believe it or not. The Patriots won the game 41-28 & will play the Ravens in a rematch of last year’s AFC Title Game that is well known for Billy Cundiff’s Wide Left—better not mentioned in the state of Maryland. I have to give credit to the Texans for hanging tough. They kept on playing hard football until there were triple zeros on the clock at the end of the 4th quarter. They got a couple of more touchdowns, even though they came 3 quarters too late. Houston has rising stars like J.J. Watt, Arian Foster, and a future Hall of Fame wideout in Andre Johnson. What some in Houston will be clamoring for is a quarterback that can perhaps challenge Schaub’s starting job but that’s not happening. As for the Pats, this AFC Championship Game should be a fun one. If any AFC team can prevent New England from going back to the Super Bowl, it’s Baltimore. It should’ve been Baltimore last year if weren’t for the…well…we know by now. The game, though, came at a cost as Rob Gronkowski reinjured his left forearm and has been declared out for the remainder of the postseason. Bottom line is this: Sunday night can’t get here soon enough. With a home win vs. the short-handed Minnesota Vikings under their belt, the next test for the Green Bay Packers would be on the road in San Francisco vs. the 49ers. They didn’t look like the same team they were when they hit their peak shortly after the controversial Golden Tate “Fail Mary”, but still looked good enough to win postseason games. Injuries, of course, hurt them throughout the season as well. Also, there was the (I believe, overhyped) element of Rodgers being passed over in favor of Smith by the 49ers in the NFL Draft. The story for the Niners was that Colin Kaepernick was playing in his first postseason game since Jim Harbaugh made the decision to stick with Kaepernick after the injury to Alex Smith. When it came to playoff experience, Rodgers (a 1 time Super Bowl champion) vs. Kaepernick looked like a mismatch. And it was…for the team hailing from the Badger State of Wisconsin. Early on, a Sam Shields Pick 6 interception of Kaepernick to make it 7-0 Pack seemed to confirm the concerns some had about Kaepernick in this kind of environment in his first playoff game. He made up for it by running 20 yards for a touchdown to tie it at 7. The score would be 24-21 going into the half. After that, the Packers would tie it on a field goal from the much maligned Mason Crosby. 24-24. From that moment on, Candlestick Point was Colin Kaepernick’s world and the Packers were simply living in it. 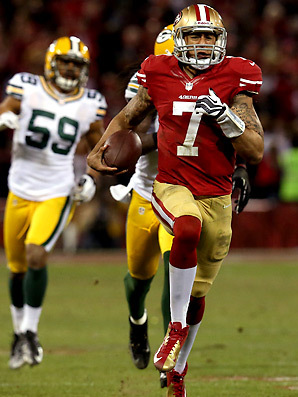 Kaepernick’s total line was 17/31, 263 passing yards, 181 rushing yards, 2 passing TDs, 2 rushing TDs, and 1 pick. That 181 is an NFL record for any QB, regular season or playoffs. The 181 is also more than the entire rushing attack of the Packers, who finished with 104. Frisco also got huge outings from Michael Crabtree (9 catches for 119 yards and 2 touchdowns) and Frank Gore (23 carries, 119 yards, 1 TD). For the Packers, Aaron Rodgers went 26/39 for 257 yards, 2 touchdowns and 1 interception. Green Bay’s season has ended with a thud on the road. Their offseason will be filled with talk of potential free agency departures, most notably Jermichael Finley and Greg Jennings. The stuff coming from Jennings himself, as well as what’s coming from the team, make it a near inevitability that Jennings will not be returning to Lambeau Field in 2013-2014. Jennings, of course, will demand major dollars for a team to commit to his services. As for the 49ers, they’ll be returning to the NFC Championship Game. After Kaepernick’s performance vs. Green Bay and the fact that they have a stellar defense on top of everything else, there are many that will predict the Niners to win their matchup when they head on down to….. 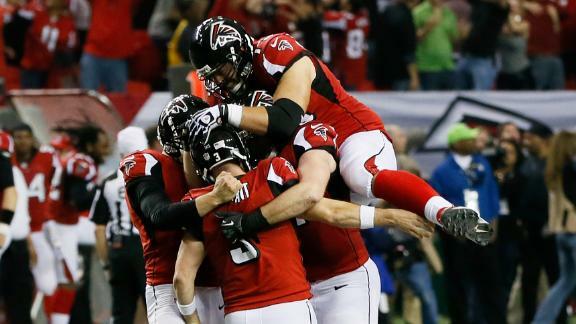 Even though at the beginning of the year I picked the Atlanta Falcons to represent the NFC at the Super Bowl, I spent the entire second half of the season zoned in on the NFC and, in particular, who looked like the surprise team that would give someone like an Atlanta or Green Bay or San Francisco issues in the playoffs. While no one mentioned it because of their distance from the East Coast, the Seattle Seahawks looked like that team. Not only were the Seahawks making a run, but with the news that the Sacramento Kings were on the verge of being sold to two Seattle based businessmen to return the Sonics back to the city, Seattle sports were running on Cloud 9 status. Earlier in the year, the Falcons were having a tough time stopping the run. The Seahawks have a Pro Bowl runningback in Marshawn Lynch. They have a defense as good as anyone’s in the league—just the ingredients needed to pull off an upset against Atlanta’s Dirty Birds. Such a scenario played itself out Sunday afternoon at the Georgia Dome & for the first half, Atlanta looked to be answering the bell rather soundly and smoothly. Russell Wilson made some rookie mistakes and there was the huge stop that the Falcons got on both 3rd & 1 (and 4th and 1) when it looked like the Seahawks would score their first touchdown of the game down big early. Another one of them was late and had to do with clock management, but there is conversation in Seattle that the last 1st half play run by the Seahawks actually was got off in time. Meanwhile, it was 20-0 Falcons heading into overtime and 49ers fans by the Bay began calling their travel agents to book flights for Atlanta. Seattle wouldn’t get their first score until 9:47 remaining in the 4th quarter on a 29 yarder from Wilson to Golden Tate. 20-7 Atlanta. A Falcons drive late in the 3rd quarter led to Jason Snelling touchdown pass from Matt Ryan making it 27-7. Maybe, that’s where the game was over. Seattle then said, not so fast as they have played the NFL’s version of the Boston Red Sox circa 2004 a lot this season—always playing 4 quarters. Down 27-14, the Seahawks’ Earl Thomas picked up a key interception—one of Ryan’s two interceptions on the day. That gave the Seahawks a chance to inch closer and it became 27-21. With 31 seconds to go, the ‘Hawks got their first lead of the day courtesy of a two yard run from Marshawn “Beast Mode” Lynch to make it 28-27. But, it was with 31 seconds to go. And as the Bears in 2008 and this year’s Panthers and Raiders will tell you, you are giving Matty Ice 30 minutes if you give him 30 seconds. Two long passes were all the Falcons needed to get into field goal range for Matt Bryant, who was called the other “Matty Ice” by head coach Mike Smith in the Falcons’ postgame press conference. The 49 yard kick from Bryant was wide right and sure to go down in history as one of the lowest moments ever in Atlanta sports—except for Pete Carroll calling a timeout on the sidelines. A clear instance of the bush league move known as “icing the kicker”. In my opinion, such a move is bogus and ought to go into the category of unsportsmanlike penalties. It should be an automatic 15-yard penalty. So thanks to Carroll pulling off a move that he should’ve left at USC, Bryant got another shot and split the uprights beautifully. 30-28. An onsides kick would make it interesting at the end, but the Seahawks weren’t playing the Packers and it wasn’t Monday Night Football in Seattle. This Hail Mary attempt from Wilson wound up in the hands of Julio Jones. Falcons will host the 49ers in the NFC Title Game. Seattle’s season is over, but there’s clear reason for optimism in the Emerald City. No one (me included) had the Seahawks even making the playoffs and now they have a bright future with Wilson at the nucleus of it. The Seahawks have nothing to be ashamed of. They will be back next year and likely for years to come. As for the Falcons, they’ve finally won a playoff game & have (for now) put to rest the common talking point among football pundits that it’s a team that’s only built for the regular season & can’t win in the playoffs. They’ve won. Now, can they send the Falcons to the Super Bowl for the first time since losing 34-19 to the Denver Broncos in Super Bowl XXXIII—John Elway’s last game. As for stats, Matt Ryan was 24/35 with 250 yards, 3 TDs, and 2 INTs. Even though there was been increasing talk around Atlanta surrounding Jacquizz Rodgers, veteran runningback Michael Turner had himself a resurgent game with 98 yards on 14 carries. For the Seahawks, Wilson went 24/36 for 385 yards, 2 TDs and 1 INT. He’d also be sacked twice, once by Vance Walker and once by Johnathan Babineaux. For the most part, the Falcons’ defensive line turned off “Beast Mode”. While Lynch had the 1 TD that put the Seahawks up late, he only had 46 rushing yards on the day on 16 carries. Zach Miller and Golden Tate did have huge receiving days as both went over 100 yards and each scored a touchdown (8/142 for Miller, 6/103 for Tate). And among everything else, my preseason Super Bowl prediction of Ravens vs. Falcons is still alive for another week. I’m not boasting, though. Did I mention earlier also that this upcoming Sunday can’t get here soon enough? Check out The Real Sports Talk on YouTube and at TheRealSportsTalk.com for all your NFL Playoff coverage! We’ll have analysis and previews of the AFC and NFC Championship Games Throughout the Week!